The Islanders are off to a hot start this season. They’re in first place in the Metropolitan Division headed into the all star break. Here’s my mid-season grades for the team. 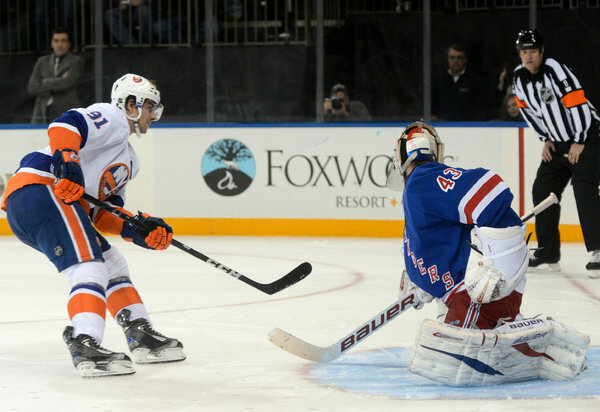 Michael Grabner (4 G, 2 A, 6 points)- Grabner has six points in 12 games this season. He has come on pretty strong after missing most of the season with an injury. His best asset is his penalty kill, but with the speed he has, he is always dangerous. It would be unfair to grade him through only 12 games. Hockey is alive in New York. It has been quite a long time since the Islanders visited Madison Square Garden (MSG) and ticket prices were this high. Ever since 1993, the Islanders haven’t been this relevant and have not won a playoff series. The Rangers have won a Stanley Cup and have been there twice (1994 & 2014). The Rangers have stayed relevant to this day. The Islanders on the other hand, hasn’t been this good in over 20 years. The NYI/NYR rivalry is back. 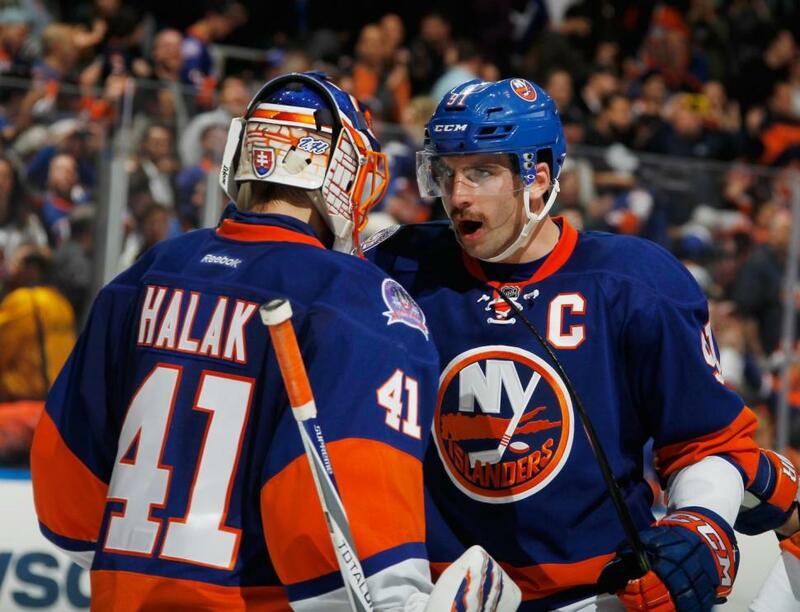 The 1st place Islanders visit MSG tonight with a chip on their shoulder to prove they’re the best team in NY. I can’t remember personally in my life ever hearing more hype for an Islander game in the regular season at this point. Halak vs Lundqvist and Nash vs Tavares, will be fun to watch. Tune in tonight at 7:00 EST. Finally my prediction: 3-2 Islanders in OT. Jack Allen is a writer for dabuzzza.com. He is a fan of the New York Mets, New York Islanders, New York Knicks, New York Jets, Seattle Seahawks, Seattle Mariners, Queens Park Rangers, and West Virginia Mountaineer football and basketball. His favorite athletes are David Wright, John Tavares, Geno Smith, Allen Iverson and Charlie Austin. He is a very passionate and determined fan. You can follow him on twitter @JackAllen99. The 2014/2015 season has begun in exciting fashion and looks to continue that way. With a third of the season done already a lot of questions have emerged. Analyzing this season as well as the future determines there is one team who has major issues. When you are a die hard fan, you generally see things through rose colored glasses. You grasp for good in anything you can. Even the most objective of fans have a tendency to overrate their own players. With that said, there will be no doubt that one group of fans will hate this author. But beware, I am just pointing out what you already know but just can’t come to grips with because of your blind loyalty. You love your team and just want to see that cup raised on your ice. Unfortunately that will not be happening soon unless some drastic changes are implemented with your team. I would love to hear your reactions. Please keep the cursing to a minimum. 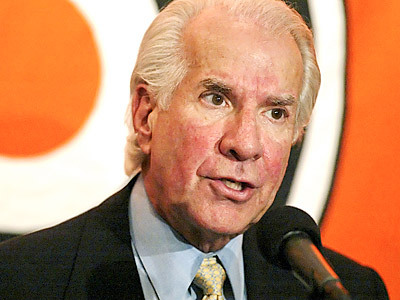 The forwards have a little depth but Ed Snider has seen there is no secondary scoring. See his outburst the other night for proof of that! They have Claude Giroux, Jakob Voracek, Wayne Simmonds and Brayden Schenn. What about RJ Umberger, Matt Read, Scott Laughton, Zac Rinaldo? 4 goals between them in the first 25 games! Vincent Lecavalier? Bought out by Tampa only four years into an 11 year 85 million dollar deal. Here come the Flyers to bestow a five year 22.5 million dollar gift upon Vinny. And what has Vinny given the Flyers in return? A whopping 43 points the past two seasons and a healthy scratch early in his second season with the team. Way to get value guys! Sean Couturier was considered one of the top rated players in the 2011 draft but dropped down to the Flyers at pick number eight because some teams were concerned about his scoring and viewed him as a third liner. Well he made the Flyers as an 18 year old and has become the third line player many expected. Should we look into the trade market? Do you have faith in the Flyers top brass making trades? Who do they have that other teams might want? How has James Van Riemsdyk for Luke Schenn worked out? Wait you say, “we have a farm system.” Virtually every season for the last 10, the Flyers have been ranked among the bottom handful of teams in the league. This year they have moved all the way up to 21st on HockeysFuture. Flyer fans will tell you about Scott Laughton and Sam Morin but there is very little depth in their system and we have not seen a major Flyer draft coup since Claude Giroux in 2006. Other than Giroux, Van Riemsdyk and maybe Luca Sbisa, no other Flyer draft pick since 2004 has emerged as a top 6 forward or a top 4 defenseman at the NHL level. For this team to improve they will need to part with a major asset or two. They have Giroux, Simmonds and Voracek. Brayden Schenn has value as well. If they can accumulate draft picks or prospects for their bad contracts they should jump at the chance. Lecavalier and the entire defense should be up for grabs. If Couturier can bring back a prospect with a bigger upside I would move him too. They will need to develop the few prospects they do have and really score big with their expected high draft pick this season. If a few trades are made to jettison veterans for prospects and picks then they might have figured it out. If you see them trade for a veteran or two you will know they are the same old Flyers and expect more of the same. At last, the predictions are here! For the Metropolitan Division Preview, click here. For the Atlantic Division Preview, click here. For the Central Division Preview, click here. For the Pacific Division Preview, click here. Have a great NHL season everybody! The Penguins are still the team to beat in the Metropolitan. They’ll coast to the division title. The Rangers and the Islanders follow, setting up a playoff series between the two that is sure to have New Yorkers on the edge of their seats. Alex Ovechkin has 43 goals and leads the caps in as the first wild card team. The Blue Jackets take the other wild card spot. The Atlantic Division standings this season remain very similar to last season’s. Tukka Rask leads the Boston Bruins to their second straight division title. 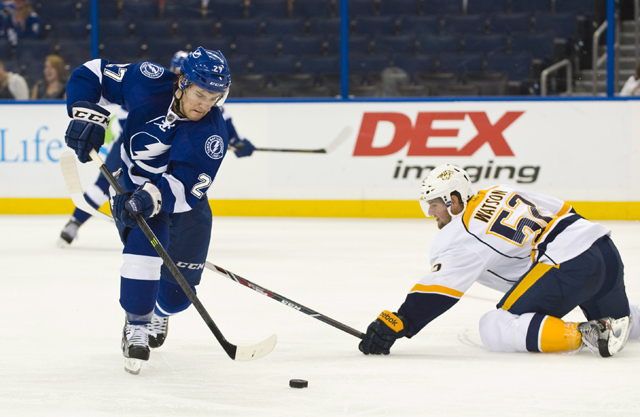 Tampa Bay takes the league by storm, showcased by Jonathan Drouin and Steven Stamkos. Montreal belongs here at three, a spot they’re familiar with. The Red Wings get ousted after facing strong teams in four out of their last six games to finish the season. Phil Kessel has a good season, but the Maple Leafs do not. Florida Panthers rookie Aaron Ekblad gets sent down to juniors nine games into the season. The rebuild is in full swing for the Ottawa Senators and the Buffalo Sabres put themselves in position for Connor McDavid. The Chicago Blackhawks win the division on the last day of the season after taking down the Blues twice in the last week of the season. The Blues settle for the second spot in the Central. The Stars leapfrog the Avalanche for the third spot, and Colorado gets knocked into the Wild Card spot. Minnesota takes the second Wild Card spot. Nashville has another big disappointment, and barely misses taking the spot from Minnesota. The Jets sets themselves up for the second pick in the draft before the lottery. Anaheim takes the division after the Kings fall out the top spot when they lose four out of five games on their road trip in late March. The Sharks trade Joe Thornton on deadline day and get Patrick Marleau out earlier in the season. Tomas Hertl struggles a bit in his second NHL season, but the Sharks reach the playoffs. The Canucks just miss out on the playoffs after a stellar season from Ryan Miller. Arizona, Edmonton, and Calgary struggle and finish near the bottom of the league. Dany Heatley and Ryan Kesler come into a high octane offense that led the league in goals per game. Cam Fowler, Sami Vatanen and Hampus Lindholm represent youth that will lead the defense that ranked ninth in the league in goals against. John Gibson is expected to get the bulk of the playing time in goal but Frederik Anderson will battle him for starts. Sure they changed their name from Phoenix to Arizona but the Coyotes will still face the same struggles. The departure of Mike Ribeiro and Radim Vrbata does not bode well for this offense. They brought in Sam Gagner, but the team ranked 20th in goals per game and it’ll be a tough task trying to improve that. The Coyotes ranked 23rd in the league in shots against. Oliver Ekman-Larsson and Keith Yandle will attempt to plug that hole in the sinking ship that is the Arizona Coyotes. In goal, Mike Smith and Devan Dubnyk will try to stop the many shots that we know they’ll face this season. It could be a long season in the Desert. Losing Mike Cammalleri to the New Jersey Devils was a tough one to swallow, but the addition of Mason Raymond was an intriguing one. Raymond comes in after his one year in Toronto. Speaking of additions, Jonas Hiller will take the reigns as the starting goaltender for Calgary after signing a two year deal back in July. Mark Giordano and T.J. Brodie will take first line defensive pairing. The Flames ranked 24th in the league in goals against and for good reason. They’re really not that good. A midseason trade could change that (Tyler Myers?). Edmonton looked more like Dead-monton last season. They ranked last in the league in goals against and 24th in goals for. These aren’t the kind of stats that you want to see from a team that had a top five draft pick in four out of the last five years. Benoit Pouliot and Teddy Purcell age huge additions, yes, but will it change the landscape of the team? I’m not so sure about that one. Taylor Hall, Ryan Nugent-Hopkins and Jordan Eberle will take over the first line, with Leon Draisaitl and Nail Yakupov taking the second line alongside Pouliot. The defense isn’t really worth mentioning, but Justin Schultz and Andrew Ference will lead the back line. A goalie dilemma is inevitable as Ben Scrivens and Viktor Fasth will take the duties. The pair isn’t stellar and could help in leading to their downfall. The champs are back! The Kings come off of a magical season that was capped off by a goal from Alec Martinez in overtime to win the Stanley Cup. This year they’ll look to defend their title and it’ll have to begin with the offense. The addition of Marian Gaborik at the trade deadline proved to be the move that the Kings needed to send them over the top and into a deep journey through the playoffs. Kings Captain Dustin Brown will lead the offensive unit, which includes Jeff Carter and Anze Kopitar, in trying to put the puck in the net. After watching the offensive attack in the playoffs, it should come as a surprise that the Kings ranked 26th in the NHL in goals per game in the regular season. However, they led the league in goals against average. That’s what carried them last season to the playoffs. Led by Drew Doughty, the defense will look to stop the rest of the league from scoring. Plus, it helps when you have arguably the best goalie in the NHL playing for your team. Jonathan Quick is just that and comes off of a year in which he finished fifth in goals against average and finished second in the league in shutouts. It’ll be a tough task, but the Kings can still be considered as royalty in the NHL. Joe Thornton and Patrick Marleau remain with the team for now, but could be on their way out via trades at any point this season. The Sharks would like to trade both sooner rather than later, as tensions will mount each game that the pair is not traded. While they are still in San Jose, the two veterans will be able to teach second year player Tomas Hertl, along with the 25 year old Logan Couture, who still can learn a lot. The team lost Dan Boyle to the Rangers, and the top line now has Marc Edouard Vlasic paired with Justin Braun. Brent Burns is another notable name on the defensive end, a season after scoring 22 goals. In goal, Alex Stalock is going to push Antti Niemi to the brink for starts. Expect a heavy timeshare between the two. Oh Vancouver. A few years ago, this team was at the top of the West. Now they’re a team that missed the playoffs last season. Well can they get back there the season? Willie Desjardins comes in as the new head coach, replacing John Tortorella. The big addition to the club comes in goal, after the Canucks added goaltender Ryan Miller. Miller will have Alexander Edler and Chris Tanev as the first defensive unit protecting him. The Ryan Kessler trade to Anaheim sent back Nick Bonino and Luca Sbisa, who will certainly contribute. The Sedin brothers come off of their worst season in a decade, and will look to return to the dominance that we’ve previously seen from them. Everyone should take notice of Radim Vrbata. The 33 year old will sit on the Sedin line and that should put him in the scoring sheet on a regular basis. This season will be a journey, but one that might end with the Canucks back in the Stanley Cup playoffs. The Blackhawks opted to sign Daniel Carcillo instead of keeping Nick Leddy, and sent Leddy off to the New York Islanders. In return, they got Ville Pokka, Anders Nilsson and T.J. Brennan. The 20 year old defenseman Pokka was sent down to the AHL along with Brennan. You’d have to feel for T.J. Brennan though. Brennan has bounced around the NHL a bit, contributing mostly in the AHL. He signed a contract with the Islanders over the summer, and was finally ready to make that jump to become a full time NHL player. Instead, he was part of a salary based trade to Chicago and the Blackhawks sent Brennan back down to the AHL. That has to be a bad feeling. Nilsson will play in the KHL this year and is a non-factor. On the active roster, the Blackhawks look to get over the fact that they were a game seven overtime goal away from heading back to the Stanley Cup Final for the third time in five seasons. They added Brad Richards to their offensive weapons, and he’s expected to start the season as their third line center. 25-year-old Patrick Kane sees himself on the second line with 21-year-old Brandon Saad and 23-year-old Andrew Shaw. Not bad for youth. 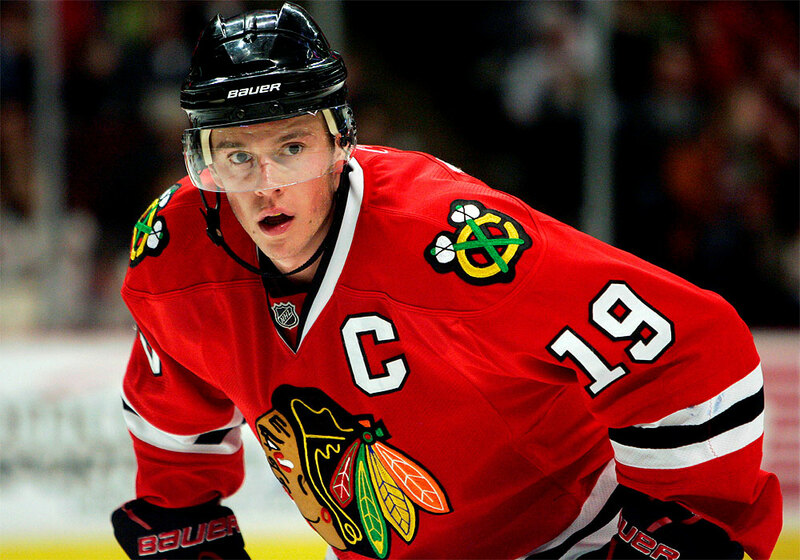 The top line consists of Patrick Sharp, Jonathan Toews and Marian Hossa. The attack will be hoping to continue the success of last season, when they ranked second in the league in goals per game. Duncan Keith leads the defensive unit. He’ll be paired with Brent Seabrook. The two are a huge threat from the blue line in the offensive zone, combining for 13 goals and 89 assists last season. Corey Crawford will be in net for the Hawks. Crawford struggled early last season but got it together, and hopes to maintain more consistency this season. Are the Colorado Avalanche really back? The Avs came out of nowhere and stormed to the front of the Central Division standings, after seeing themselves in the basement of the league. A year after winning the division, they’ll have a target on their backs. They suffered a first round loss in seven games to the Minnesota Wild, allowing 22 goals over the seven game span. That can’t happen if Colorado wants to compete farther into the playoffs this season, or to be honest, any season. Adding Nathan MacKinnon in the draft helped, and he finished his rookie campaign with 24 goals and 39 assists, claiming the Calder Trophy for rookie of the year. Adding to the youth of the Avalanche is Matt Duchene and Gabriel Landeskog, who netted 23 and 26 goals, respectively. These three young guns will continue to grow. Joining Duchene and Landeskog will be veteran forward and future hall of famer Jarome Iginla, who was signed as a free agent over the summer. Goaltender Semyon Varlamov was a Vezina Trophy finalist last season and will try to help the defense out. Speaking of defense, that seems to be the issue over in the Mile High City. They’ve got Erik Johnson and Tyson Barrie, but after that, they don’t really have much. Keep your eyes on that defense, because there could be a midseason trade to bolster the back line. The Stars jumped into the playoffs last year with a wildcard spot, but saw their season fall at the hand of the top seeded Anaheim Ducks. This season, they saw their offense, which ranked 10th in goals per game, improve with a few major moves. Dallas traded four players for Jason Spezza on July 1. Later in the day, they signed Ales Hemsky to a three-year contract. Both moves immediately impact the offense. Hemsky and Spezza are expected to be line mates on the second line. Second year forward Valeri Nichushkin will hope to make an impact this season, and jump up from the fourth line wing. Alex Goligoski leads the defense, one that can be described as average. Kari Lehtonen will stay in goal and comes off of a good season in which he had 33 wins. In terms of stats, the Stars find themselves in the middle of the pack in every major category. That’s were they’re expected to end up this season- in the middle of the pack. The worst kept secret in hockey this season is finally out. 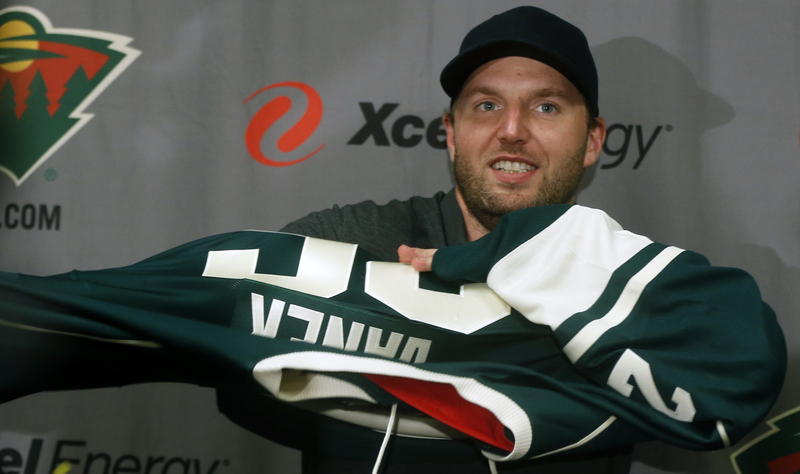 Thomas Vanek has signed with Minnesota. Vanek comes off of a season in which he was bounced in trades from Buffalo to New York to Montreal. Many expected Vanek on the first line with Zach Parise, but instead finds himself on the second line with Mikko Koivu. Parise, meanwhile, comes off of a 29 goals, 27 assists season. Ryan Suter continues his mega deal and will be paid 11 million dollars this season and will carry a cap hit of 7.54 million dollars annually through 2024-25. Niklas Backstrom will be the starting goaltender and will stand behind the fifth ranked defense in terms of shots against, and seventh ranked in goals against. Former Preds Barry Trotz heads out to Washington D.C. to coach the Caps. Nashville opted for Peter Laviolette. Laviolette brings in the up-tempo attacking style. They’ll have depth at the center position, bringing in Olli Jokinen, Mike Ribero and Derek Roy. They also brought in James Neal in a trade for Patric Hornqvist and Nick Spaling. Neal should bolster the power play stats, coming from the experience of the Penguins’ power play unit. The defense should be great as they’re led by Shea Weber and Seth Jones. The Predators hope that goaltender Pekka Rinne can stay healthy, after missing most of last season. The Blues watched as their 2-0 series lead evaporated in the first round of the playoffs, and the Blackhawks won four straight games to end St. Louis’ season. The Blues added Paul Stastny, a player that should help change the offense. There are many names that should help the offense: David Backes, Alexander Steen, Vladimir Tarasenko, and T.J Oshie just to name a few.Alex Pietrangelo and Kevin Shattenkirk anchor the blue line once again, and Brian Elliott will man the net. Devin Setoguchi and Olli Jokinen left to greener pastures and it might hurt the Jets a bit. Last season the Jets ranked Mark Scheifele will be up on the first line with Blake Wheeler and Evander Kane. Zach Bogosian and Jacob Trouba lead a defense that ranked 22nd in the league in goals against. Ondrej Pavelec must improve in goal if the Jets plan on coming close to the playoff race. With the loss of Jarome Iginla in free agency, the Bruins will look for someone on the current roster to replace the 30 goal scorer. They dealt Johnny Boychuk to the Islanders yesterday to clear three million dollars off of the salary cap but remain 800,000 dollars over the cap. Patrice Bergeron, who tied Iginla for the 2013-14 team lead in scoring, will attempt to replicate his performance of last season. On defense, Zdeno Chara remains under contract for the next 4 seasons, and he shows no signs of slowing down with his age. Third year defenseman Dougie Hamilton will continue to grow and comes off of a year in which he had seven goals and 18 assists for 25 points. Tukka Rask will continue to produce wins in net and should carry them the distance. The Sabres have stockpiled themselves with draft picks headed into the upcoming season, acquiring first round picks from both the Islanders (in the Thomas Vanek trade) and the Blues (In the Ryan Miller/Steve Ott trade). While the Blues pick is expected to be a late 1st round pick, the Islanders pick could be the jackpot to the first pick and Connor McDavid. However, with the Islanders trades on Saturday, the pick could end up as a mid to low first round pick. The Sabres picked Sam Reinhart with the 2nd overall pick in this year’s draft. Reinhart may start the season in the AHL, but could work his way up to the NHL by mid season. The team signed Matt Moulson a few months after dealing him to Minnesota. They also signed Brian Gionta, Andrej Meszaros and Josh Gorges. Jhonas Enroth will most likely be the starter in goal, but Michal Neuvirth will challenge him for some playing time. Tyler Myers will lead the defense, which will certainly better than last season. While the team has improved, they’re not expected to go anywhere in April. The Red Wings are an interesting team to watch this year. They come in with a streak of 23 consecutive appearances in the playoffs, a streak that may come to an end this season. Pavel Datsyuk already hurt his shoulder and should start the season on IR. He’ll be back around late October. Henrik Zetterberg will hope to carry the offense without him. Jimmy Howard remains between the pipes and hopes to improve from last season. Gustav Nyquist, Riley Sheahan and Tomas Tatar will help to give Detroit some youth. But after them, the Red Wings look pretty old when it comes to their more significant names. The Florida Panthers come into this season after drafting Aaron Ekblad with the first overall pick in the draft this past June. The 18 year old defenseman looks ahead to his future in the NHL which is up in the air for this season. There’s a chance that Ekblad is left off the roster at the start of this season, much to the disappointment of the Florida fans who’d like to see the youngster out on the ice. Aleksander Barkov comes off of a great rookie season and hopes to build on that. Jonathan Huberdeau could skate alongside Barkov to form a one two punch in Florida. In goal is Roberto Luongo, a major piece that can help them in the next few seasons as he finishes out his career. The departure of former captain Brian Gionta and former assistant captain Josh Gorges to Buffalo signals a need for leadership. Defenseman P.K. Subban hopes to fill that role, along with Andrei Markov, Tomas Plekanec and Max Pacioretty, who were all named assistant captains by GM Marc Bergevin. It’s just the second time in team history that the Canadiens do not have a captain. Carey Price remains a stud in net. The Habs will look ahead to matching a season that ended in the Eastern Conference Finals. The trade of Jason Spezza to Dallas signals a bit of a rebuild for the Senators. Bobby Ryan, Kyle Turris and Clarke MacArthur will take over the top line. Recently signed forward David Legwand looks to fill in the second line center slot. Erik Karlsson leads a defensive unit that allowed the most goals since they allowed 291 goals back in the 1995-96 season. It will be tough for the men in net, after the Sens signed both Robin Lehner and Craig Anderson to three year deals. Both goalies could be starters and that creates a controversy. That is something that I will definitely keep my eye on. Steven Stamkos leads the Lightning after coming off of that broken tibia that he suffered last November. Without Martin St. Louis by his side, the first line wing slot is vacant. Enter Jonathan Drouin. The rookie hopes to fill that void on the first line and is sure to be a Calder Trophy candidate. Brenden Morrow and Ryan Callahan will provide some veteran leadership, which will definitely help the young Lightning players. Ben Bishop comes off of a season in which he was named a Vezina Trophy finalist, but was hurt in the playoffs and underwent surgery on his elbow over the offseason. The Lightning hope that he can stay healthy and that they won’t have to rely on the aging Evgeni Nabokov. Phil Kessel and James van Riemsdyk remain as a deadly pairing on offense. Dion Phaneuf heads the defensive unit. They lost Dave Bolland, Nikolai Kulemin, and Mason Raymond, which should allow the younger players such as Nazem Kadri fill bigger roles within the club. Jonathan Bernier will be the starting goaltender for the team that allowed a league-high 35.9 shots per game last season.